The Ultimate Pie Crust Guide breaks down small ingredient and technique changes to discover what makes a pie crust flaky, buttery, tender, hard, crunchy, or crumbly! It’s easy to tell the difference between homemade pie crust and store-bought. The latter usually lacks the buttery flavor and ultra flaky texture that you can achieve by making pie crust yourself. Yet, most people are intimidated by that idea even though pie crust relies on the most basic ingredients and equipment you likely already have on hand and is actually fairly easy to make. It just requires some patience. If you know anything about making pie crust, you know the ingredients need to be very cold. 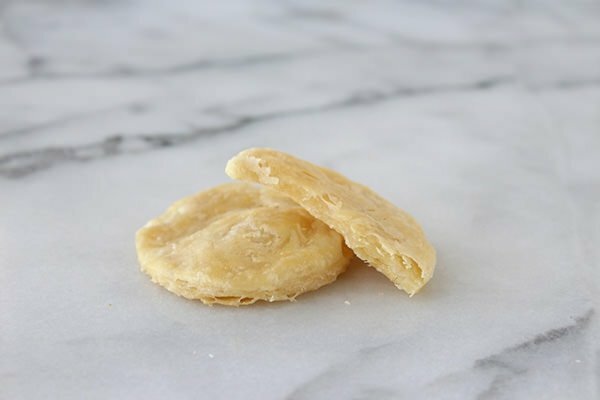 Cold ingredients mean flaky texture. Also, you should avoid overworking the dough and making it tough. Beyond those little baking rules, there are some variations in pie crust recipes that lend different results. Whether the crust is buttery, flaky, tender, hard, firm, or crumbly all depends on a few key ingredients and methods. 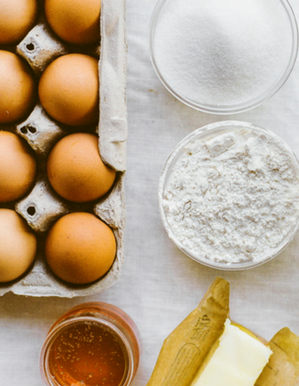 Some recipes make quick work of pie crust whereas others are more hands-on. Should you use butter or shortening? Make the crust by hand or with a food processor? Should you add a tenderizing ingredient, such as sour cream or vodka? I went to work testing out these various ingredients and techniques to find out how they affect the final pie crust. I started with a very basic, all-butter and food processor based pie crust and made small experimental changes. I used the same ingredients, utensils, and bakeware when applicable to ensure consistent results. Instead of baking a whole pie, I rolled out each dough into about an eighth-inch thickness and cut out small circles with a cookie cutter. I brushed each circle very lightly with egg wash then baked in a 350°F oven for about 13 minutes, until golden. This allowed me to really compare the shape, texture, and taste of each batch. 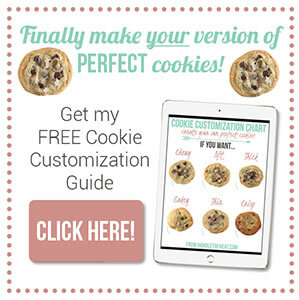 Take a look at the results, I hope they help you discover the tricks to making your version of the perfect pie crust! In the bowl of a food processor, pulse the flour, salt, and sugar until combined. Add the butter, and pulse until the mixture resembles coarse meal, with larger chunks of butter remaining. Drizzle 2 tablespoons of ice water over the mixture and pulse until it just comes together without being wet, sticky, or crumbly. Do not over mix. If the dough doesn’t hold together when pinched between your fingers, add another tablespoon of water and pulse. 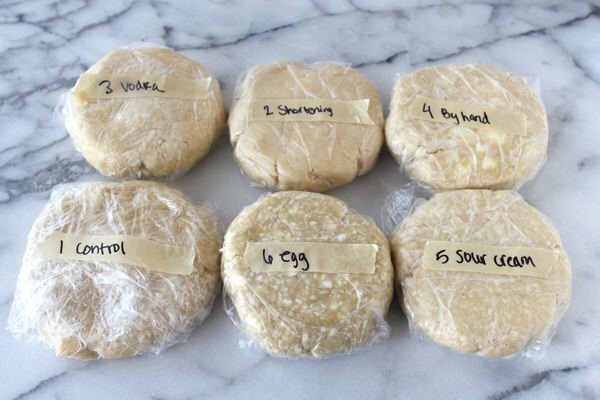 Place the dough on a large sheet of plastic wrap. Shape the dough into a disk, wrap well in the plastic, and chill in the fridge until firm, at least 1 hour or up to 3 days. Make ahead and freeze, well wrapped in plastic, for up to 2 months. Defrost in the fridge overnight. The dough is now ready to be rolled out and baked. I wanted to determine the differences between using butter versus shortening in this experiment so I substituted all of the butter with 1/2 cup well chilled and cubed vegetable shortening, proceeding with mixing in the food processor. This dough was very easy to work with since shortening has a higher melting temperature than butter. 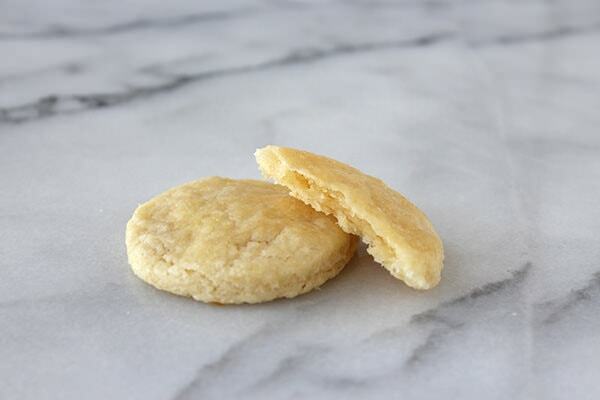 However, this also means that unlike the very hard chunks of cold butter that remain in the control dough, shortening is soft enough that it is easily overworked, resulting in a crumbly dough instead of a flakey dough. All-shortening dough doesn’t require as much chilling time and is very soft and malleable. As you can see in the photograph, this all-shortening dough ended up being flat, tender, and fairly crumbly. 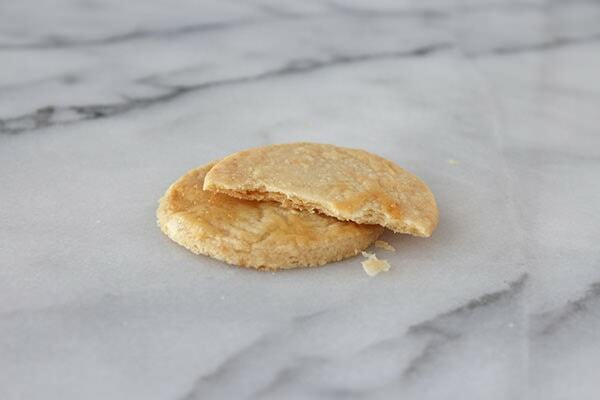 The texture was actually reminiscent of shortbread and it was completely lacking in flavor. In fact, the flavor reminded me of store-bought dough. Using a ratio of shortening and butter would produce better results, or mixing the shortening dough by hand instead of using the food processor to avoid over mixing. The kitchen scientists over at Cook’s Illustrated magazine claim that by substituting a portion of the water with vodka in a pie crust recipe, you prohibit gluten development and therefor ensure a tender, flaky crust. I wanted to see if they were right so from the control recipe I added 2 tablespoons of cold vodka and reduced the water to 2 tablespoons. The texture of the dough was surprisingly crumbly but still easy to work with. It baked up flakey but also very tender, though I didn’t find the difference to be revolutionary by any means. 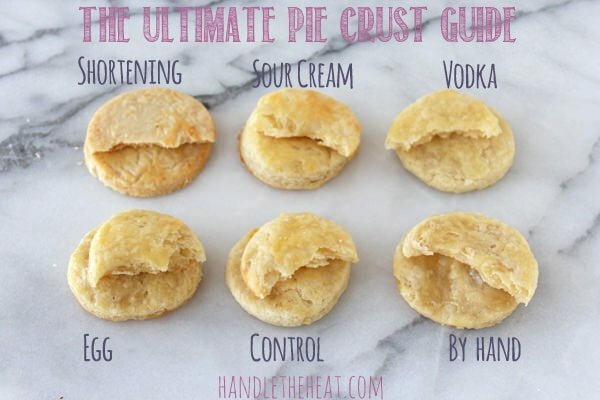 I would probably skip the vodka trick altogether next time I make pie crust. In this trial I used the same exact ingredients but made the dough by hand, not in the food processor. I used a pastry blender to cut the butter into the flour mixture until it resembled coarse meal then gently stirred in ice cold water until the dough came together. This method was much more time-consuming and messy than the food processor method. The dough was more difficult to bring together into a cohesive disk because the chunks of butter were so irregular. However, those irregular chunks of butter produced the flakiest results of all my pie crust experiments. If you don’t have a food processor (or don’t want to lug it out) or if you want the flakiest possible crust, this is definitely the method to use. Sour cream acts as a tenderizer in baked goods and I was curious to see if it would significantly affect the texture of pie crust. I added 2 tablespoons of sour cream to the control recipe along with the butter, keeping everything else the same. The dough itself was very soft and slightly sticky, but easy enough to work with. My circles of sour cream pie crust puffed up to a surprising height. 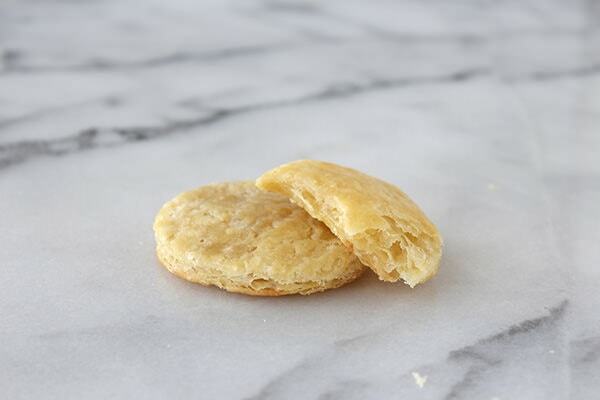 The texture was ultra light, puffy, and flaky, almost like puff pastry. The flavor was also fantastic. Beyond the classic control and by hand recipes, this was my favorite pie crust. Adding an egg to pie crust is something I first saw from The Pioneer Woman, though many recipes for tart dough call for an egg. I wanted to know how the extra fat and liquid would affect the pie crust, so I added a whole beaten egg along with the water to the control recipe, keeping everything else the same. The dough came together in a more cohesive ball, which was not surprising since egg acts as a binding agent. The baked crust was rich and firm but tender. The flaky layers seemed heavier than the by hand crust and overall this bordered on being slightly greasy. Check out my video tutorial post on How to Make Pie Dough! The Relish.com link is currently not working. I would love to see your analysis. The link is working now! So sorry for the inconvenience. The link should be working now! Sorry about that! The links to Relish.com said page not found. Love that you experimented. Cannot wait to read the results so going there now! P.S. – I did my own little experiment changing out the flours: all-purpose, wheat, and whole wheat pastry. No blog post about it though, although it would have been a good one. Opportunity missed, dang! That would have made a great blog post! If you ever do those flour batches again let me know – I’ll link it here! I love even a touch of sour cream in the pie crust! Will have to try all sour cream. So intrigued by the sour cream crust! Love this!! How do you stay so slim? I really enjoy your recipes and the way you present them. This is perfect timing for me. I am attempting pie crust for the first time ever and I am making my mom’s pie where she uses a sour cream crust. 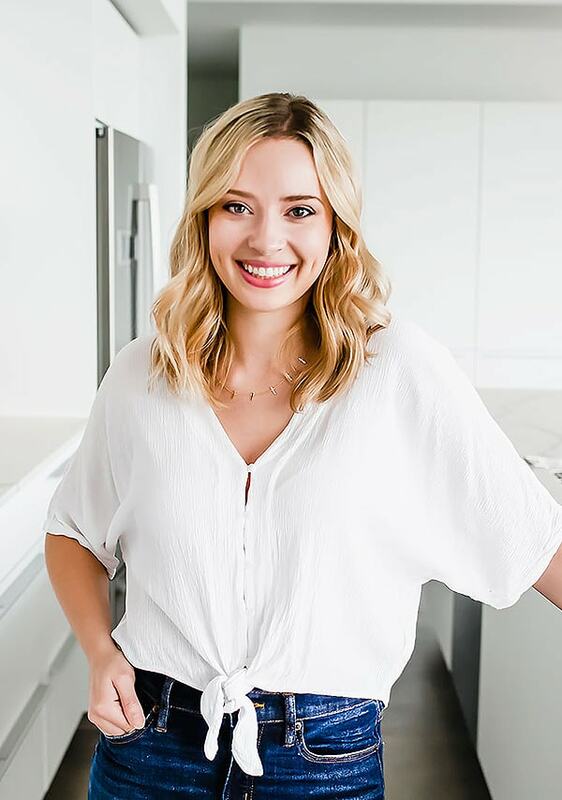 I love that you do these series Tessa!! Sharing on my facebook page! I’m a big believer in using both butter and shortening. Also making them by hand because I always seem to over process in the food processor. I’m really intrigued by adding sour cream. I’ll have to give that a try this Thanksgiving. Great post. the Ultimate link keeps overriding to BING search engine. Can you please update the link? That isn’t happening when I click the link… maybe it’s something on your browser or possibly an advertisement? This is SO BRILLIANT. I am headed over to see the results! 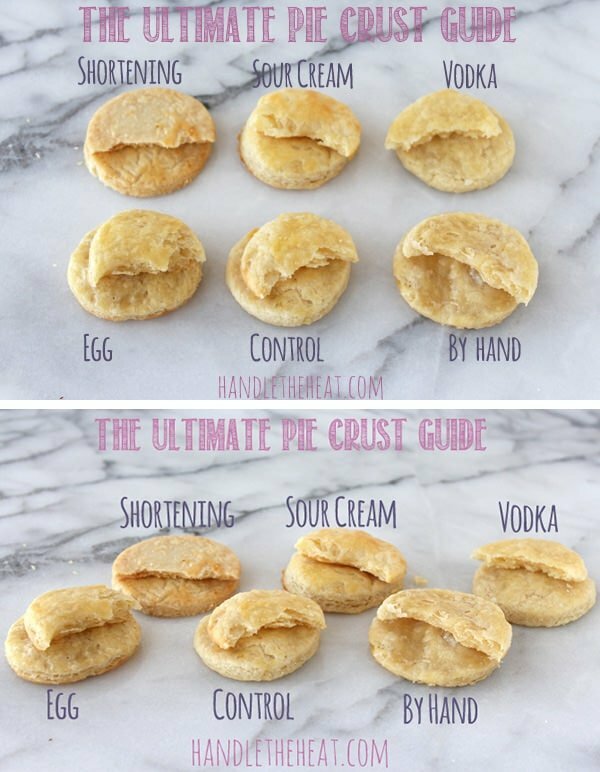 I have always used my mom’s pie crust receipe, which makes 3 single crust pies and uses butter, egg and vinegar along with the other standard ingredients. I am curious as to the purpose of the vinegar and how that affects the end product? What do you think Tessa? I too have always used my Mom’s recipe which was passed down from her Mom. It calls for an egg and vinegar. I have never used butter or shortening only lard. Decided to make apple pie today and used your recipe with the sour cream. Since it was for an apple pie, I also added some cinnamon. Just cut the pie and the crust is wonderful. I think I have found my new go to pie crust recipe. Thank you for sharing. I agree with TN. Oil crust wins hands down over any other kind of pie crust. It is incredibly flaky and so quick to make. I make it with sunflower oil. Is it healthier? Well it is not lard, so maybe. But after using this method for years, anyone who has eaten my pies finds traditional crust too dry. When I was a teen I learned how to make pie crust from my mom’s friend. It was an all-shortening recipe. It worked well, and became the family’s standard for many years. Now, however, I know how bad shortening is for you, and so I switched to an all-butter recipe. My husband never liked the old crust, but loves the new one! I will definitely keep sour cream in mind as an addition next time. As for lard, it is actually very good for you – as long as it’s from healthy pastured pork, not fed GMO corn. Canola and sunflower are major GMO crops, and are definitely NOT healthy choices! Organic options are available, however. I’m reading all the time about using plain Greek yogurt instead of sour cream for recipes. What’s your thoughts on doing that for a pie crust? Here’s one to throw you off: I grew up making the pie crust that my dad grew up with, made by his mother. Flour, melted lard, salt and luke-warm water. Mix together, without overmixing, using a fork and your hand until combined. Roll out on the cutting board, trim to fit the pie plate, and fill with pie filling of choice. Bake, and that’s it! It has never failed us. Tessa, these are great. I love the idea for the sour cream. 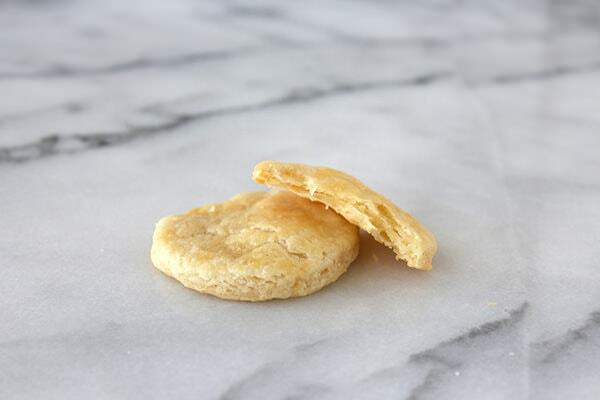 There are a lot of recipes out there that I want to make but use puff pastry. 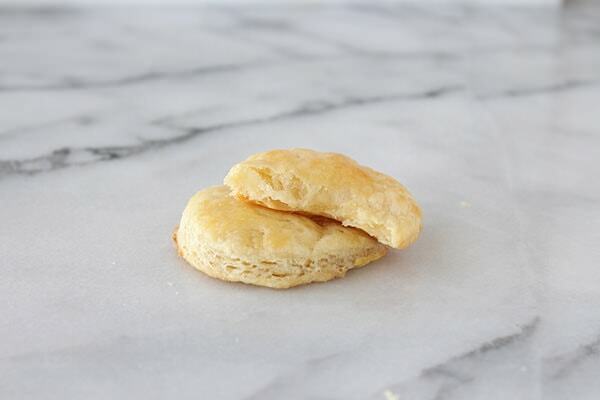 I usually have trouble finding puff pastry with all butter (I know I can get it at Whole Foods or Trader Joe’s, but it’a a long drive and I don’t always feel like making the trek), so I usually skip making them. Some of them that I’ve seen, however, like tarte tatins, sometimes call for using a pate brisee, which in my opinion would be way too boring. But this looks like the ultimate solution. Thanks! I think the food processed shortening crust was a misrepresentation of what shortening can do. Shortening should never be blended into the flour, that’s what made it flat in your result, it needs to be cut in and then very lightly mixed. A properly made shortening crust will always beat out a butter crust in my book. Thanks for great pie dough experiments. How do you bake the doughs i.e.pie plate pyrex or metal or did you just bake your samples on a cookie sheet? This was a fun read! I was wondering…in your sour cream trial, did you end up adding less water? And where did you go to culinary school? Love your blog! My pie crust was a fail :[ It was not pie crust-y at all and would not hold/roll/stick so I ended up having to press it into the pan, mostly sticking to my fingers. I went with the sour cream crust, not sure what went wrong. Did I pulse too long/much maybe? First timer.